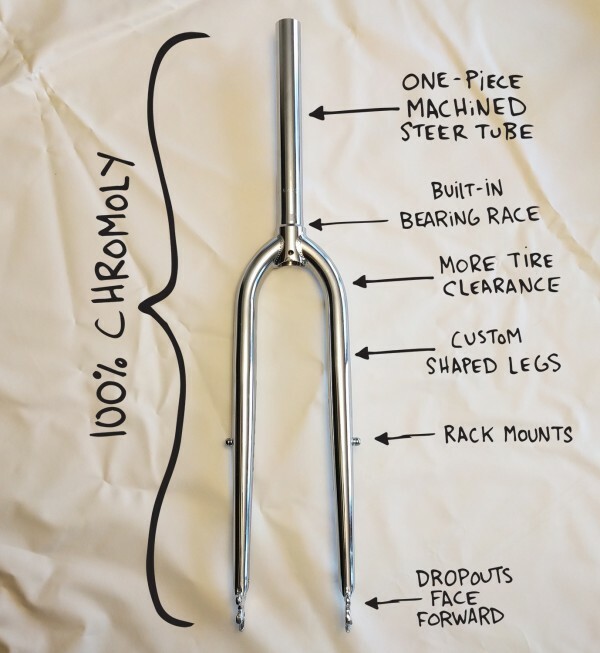 Our 100% chromoly fork starts with a one-piece machined steer tube. 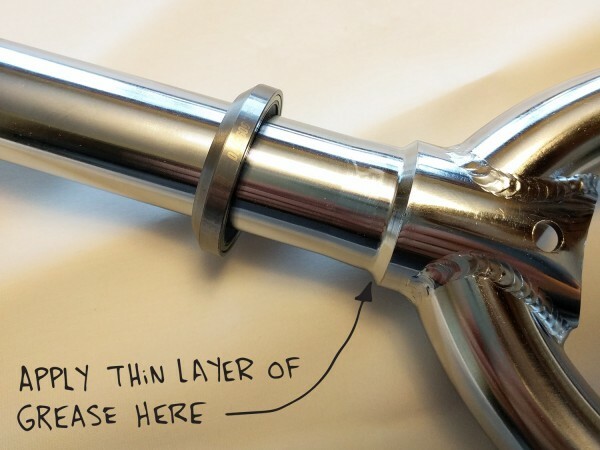 This basically means we start with a really thick piece of Chromoly tubing and machine it down to size. 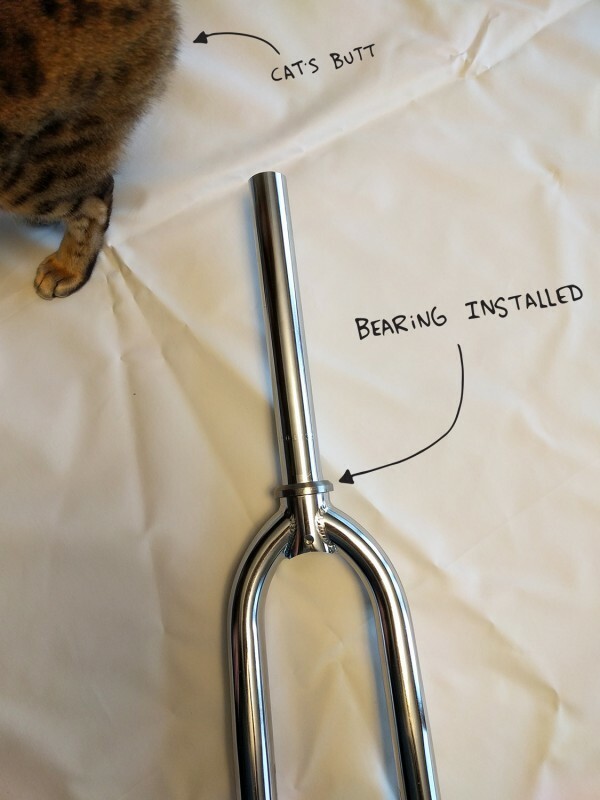 A lot of other forks are two pieces (the crown and steer tube) welded together. We’re also able to machine the headset race into the steer tube. This simplifies headset installation (no press-on race) and allows us to smoothly taper this highly-stressed area, creating a much stronger design. Custom formed leg tubing is tapered and slightly boxed in section to provide more strength, reduce “chatter”caused by powerful disc brakes, reduce unwanted flex and increase tire clearance. Forward facing dropouts (with rack and fender mounts) eliminate the risk of powerful disc brakes trying to pull the wheel’s axle out of place. …drop the bearing on. Done! 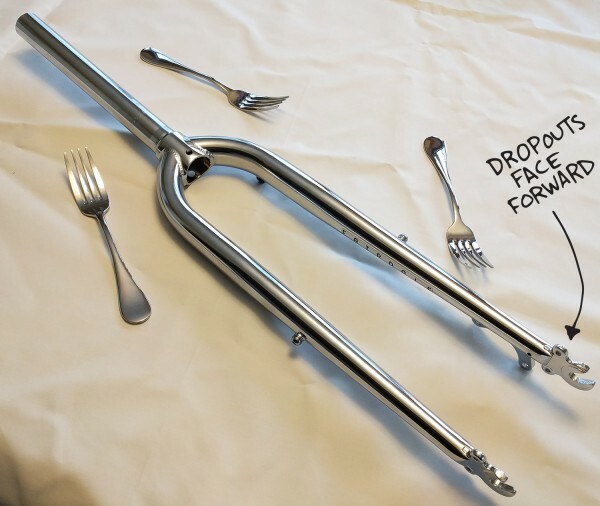 Forks are such a crucial area of your bike… hopefully you’ll never need forks this strong but it’s nice to know you have them.